Hello, my name is Abbey, and I buy notebooks. When I'm in a store it doesn't even matter a little why I'm there, I have a paper black out and wake up standing in the school/office supply aisle clutching a college ruled wirebound notebook in one hand and a hardcover idea book with a hand drawn typewriter on the cover in the other. It's an illness. It may not sound like an illness to some of you, but others of you are with me, you feel that same twitch when you walk into a store that sells things completely unrelated to paper products and you realize they have a notebook selection. P.S. My husband loves this about me. He doesn't roll his eyes when he finds me staring at Moleskines or ask "Really?!" in a higher pitch than I'd imagined possible when I tell him I think I need a new notebook. Just maybe don't ask him about this though. Anyway, I love notebooks. As a result of having more notebooks than anyone could possibly fill I write most of my prayers. Well. Honestly it's a result of my brain being way too stream-of-consciousness to do anything other than write down my prayers, so I guess it's just a lucky coincidence I happen to have this addiction. Quietly praying in my mind is one of those things that I have found I simply cannot do. It always starts off well but goes down the same twisty path: "Dear Lord thank you so much for all you've provided, thank you for our house...is this a rent paycheck week? Wait what day is this?? Oh crap it's Tuesday I have NO! I mean thank you for the house and for providing for us and for our incredible kids who are healthy and...Lula should have an appointment soon...isn't it supposed to be like every month in the first year? Or is it every three months? I should google that. NO! No google! No. Praying. Lord thank you, and I pray that you would help me to have patience dealing with both of them as they go through typical kid stuff, that I would be a good mother to them...wasn't there a magazine column called The Good Mother? Oh no that was in a book I read last summer where she wrote that for a paper. Do people still get the paper? Like an actual paper? I haven't seen a paper delivery boy in ages! Oh man that's crazy! What do kids do now for first jobs? Whatever, they probably design websites at the same age I was when I delivered papers. Although that wasn't even my job that was my brother's job! Rude. Oh! 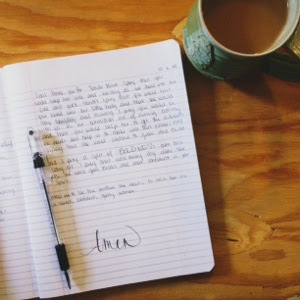 I need to text my brother....."
Journaling my prayers helps me stay focused, something about writing instead of just thinking or even speaking out loud helps me stay on task. There's none of that crazy mind wandering down the rabbit hole business. I have four notebooks I write prayers in. Three are composition books I have designated for each member of my family, one for Gabe, one for Tallulah and one for Aaron. I write prayers specific to and for each of them in those pages, pouring my heart out to God for them and covering them in prayer. I plan to do this for my whole entire life. And I am excited to someday look back and see how God was faithful to my prayers for my family. I'm also excited to someday hand these notebooks over to my children, to show them how God has been faithful to them through the years. Beyond it's ability to focus my prayer life, writing out my prayers offers me a unique opportunity to revisit my past prayer life. 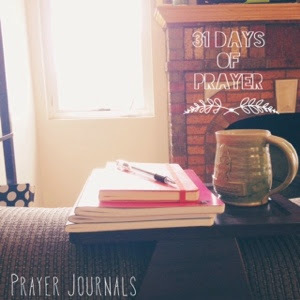 To see when I struggled to be disciplined in prayer, what I prayed for through different seasons of my life, and my favorite part, seeing how my prayers were answered. It is truly incredible to look back through and see how the Lord has been faithful to me. Every Friday in this month of writing about prayer I want to give you a glimpse of that last aspect, I want to share with you a specific prayer request that I can look back at and see how it was answered and the Lord's faithfulnes, even if the answer wasn't what I hoped for. I really truly believe that one way to strengthen your prayer life is to be aware of and continuously thankful for how the Lord has honored your prayers in the past, despite which way His answer goes. Last October one thing I was praying for was the reconciliation of some of my family members. For years there had been a serious and significant rift between a couple members of my family and the distance between them was heartbreaking to me. I had spent most of the years they were at odds praying for healing but things only seemed to be getting progressively worse. By this time last year I was starting to feel pretty discouraged. Growing up my family was close, like CLOSE. You know that show Parenthood? I watch it with my husband who complained once about how unrealistic it is. "Nobody's family is like that! Everyone over at each other's houses and knowing all each other's business!" I told him that that was exactly why I loved the show! Because to me it was eerily realistic! It was exactly how my family had been growing up. Before some particularly difficult moments in our history as a family that is just how we were, lots of togetherness, lots of laughter, and usually a decent amount of food. Our holidays were the stuff of Christmas cards and cheesy movies. As last October began I had a two year old and was three weeks away from the arrival or our daughter and I was desperate for my kids to know that kind of family togetherness. 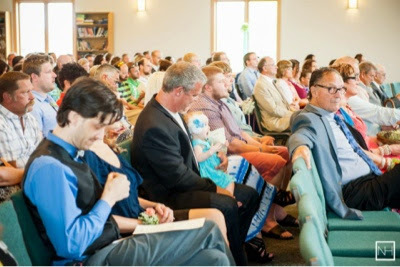 I was praying for healing and reconciliation, yes, but I was also praying specifically that my kids would get the chance to experience that kind of family celebration, that they would know what it was like to be with their whole family, all together, laughing and celebrating. In October of 2013 it looked bleak, I felt unheard and abandoned, but I continued to pray. Three short months later, in my own living room, that rift closed by quite a bit. 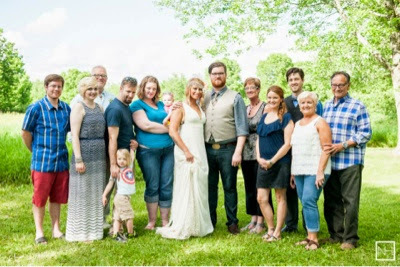 Another six months after that my baby brother got married and all but two members of my family were there. It was the first time we had all been together in over four years. My kids were passed around by their aunts and uncles and great aunts and great uncles and second cousins and grandparents and great grandparents. They were tickled and loved on and saw us laughing and dancing and of course eating. Healing is a process and things are still coming together, but that day was everything I'd been praying for four years. It was more than I had prayed for!! And now I get to look back and see how God was faithful and good and not only answered my prayers but exceeded them, and guys, I weep. I weep with joy at how God showed up. And now in times of struggle, when I feel like my prayers go out into the void and then just dissipate, I read those prayers, and remember how God answered tiny specific details, and it is an incredible reminder, an incredible encouragement. And I keep praying.